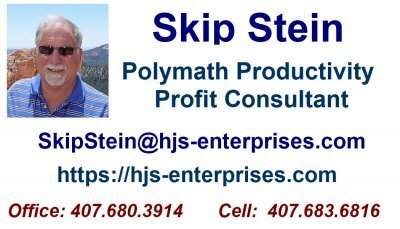 I specialize in Computer Resource Management (CRMR), Business Analysis Management (BAMR), Enterprise Application Integration (EAI) and Electronic Business Flow Management (EBFM) systems that involve many different aspects of computer technology, including Project Management, Change Management, Conversion/Migration, ERP implementation and Strategic Planning. My specialization over the past several years has been as an information and data architect, working with EBFM - Electronic Business Flow Management, EDI and other forms of electronic business-to-business communication, especially in the, manufacturing, distribution, retail, and financial industries. I also focus on ERP/CRM systems with an emphasis on Order to Cash, Order to Pay and the deployment of the EDI interface transactions and third party systems interfaces. Conversion, migration and integration to third party systems (shipping, transportation, etc.) are functional areas where I excel. As an experienced Data Architect, I have designed interfaces and conversion requirements for several company implementations. As a Certified Information Systems Auditor (CISA) I have implemented the Oracle Enterprise One financial systems and automated payments and receipts processing modules saving significant labor and cash flow expenses. I also function as an Internal Controls and Sarbanes-Oxley compliance consultant. With the penetration of EDI transaction processing filtering down to smaller and smaller organizations, I have initiated a 'remote support' service for EDI processing. With a focus on Oracle Enterprise One (JD Edwards 5 [World 9.1, XE and OneWorld] and other ERP/CRM systems and experience with the coordination and deployment of the application modules, interface transactions and third party systems, I have experience with most prevalent transaction sets, including ANSI X12, X12N, Tradacoms (UK), EDIFACT (EU), XML (various) and other variations. Our industry experience includes pharmaceutical, manufacturing, wholesale/retail, transportation, shipping & distribution, healthcare, electronics and other industries around the world. I have an emphasis on Order to Cash, Procure to Pay and the deployment of the EDI interface transactions and third party systems interfaces. Total entry to exit strategies for transaction processing provide a complete analytical transaction validation process to insure that ALL business processes work in concordance with the electronic transaction processes.